In a missing person case, it is hard to prove a crime happened without some evidence. In cases where a dead body will be the likely outcome of a search, Cadaver dogs are used to search, rather than standard Search and Rescue dogs. Why? Because a Search and Rescue Dog is trained to find living humans, and not detect decomposing flesh. Cadaver Dogs are trained to locate and follow the scent of decomposing human flesh. Not a pretty thought, but their job is vital to both families of the victims, and to a justice system that ofttimes needs a body to prove a crime. These dogs work both on and off-leash and are trained to detect the scent of decomposition that rises from the soil, the same principle as when a dog knows where they last buried their bone. Dogs must be trained as trailing dogs and air-scenting dogs. Trailing dogs follow a scent that has fallen on the ground. These dogs can pick out a human, or in the case of Cadaver dogs, a decomposing human's scent that was carried on a breeze, or "fallen" from a person carrying a body to its location. Air-scenting is similar to trailing, but an air-scenting dog must be able to pick the scent out of a breeze and follow it to the source. Special chemicals are used to simulate the scent of decomposing human flesh in training Cadaver dogs. Unlike simulated narcotic smells or other training scents, simulated cadaver smells are not available to anyone but a certified training facility. Both whole bodies and body parts are located using Cadaver dogs, and each team member must be trained in evidence preservation. 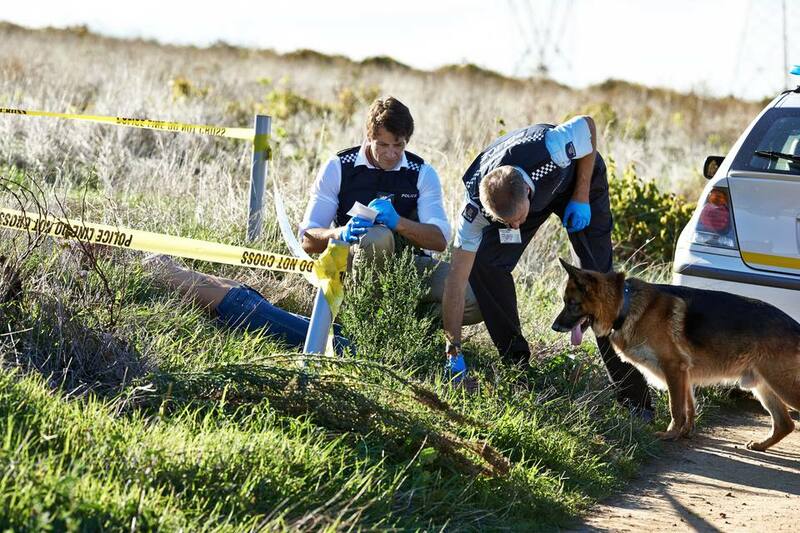 It isn't just crime investigations that use Cadaver Dogs. In disasters as well, these dogs are used in conjunction with Canine Search and Rescue teams to locate both victims and survivors of disasters, natural and otherwise.